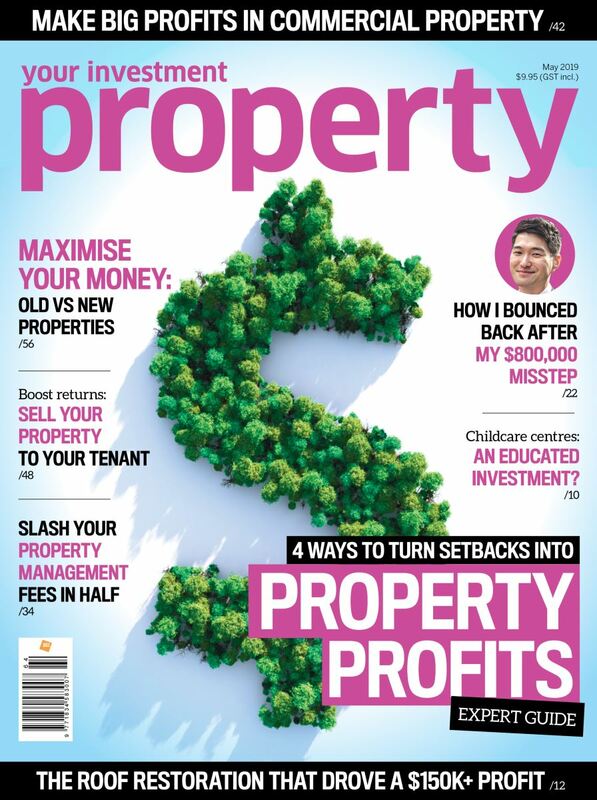 With the recent surge in investors purchasing apartments for investment it could be a good time to view some of the more salient points to property investment via apartments as highlighted here by Investment Specialist Mark Hay. Location – the ever important ingredient of sound property investment is always location. Both location of the actual project i.e. on a favorable street with an outlook, views or aspect will always ensure good growth with water or city views offering the greater premium whilst the aspect or location of the specific apartment within the complex should also be factored in. Location in regard to transport, entertainment and services etc should also be given consideration. Security – regardless of the suburb security is now a strong consideration of any apartment purchase. Both security of the common area e.g. foyer, car parking and the specific apartment itself, is paramount for both rental and re-sale value. If purchasing a ground floor be extra attentive to security issues. Quality of Finishes – Obviously the quality of finishes effects rental and re-sale figures but more specific for an investor is the upkeep of such finishes i.e. if the whole buildings fa&ccedil;ade is painted then the upkeep to repaint every 5 years or so can be quite high especially in Multi-Story complexes where access is by scaffolding. Likewise timber fences, lattice work, heavily landscaped gardens etc can also require upkeep whilst the internal condition of an apartment can also cause an economic burden – always look out for low maintenance finishes. Points of Difference – Perth buyers and renters are becoming increasingly aware of the need for a point of difference. The design, finishes, colours, amenities, outlook, long-term rental etc can always be a point of difference that offers the edge to your investment over the rest of the market. Amenities – The obvious commercial facilities such as swimming pools, saunas and gyms offer great attractions but equally important is access to smart wiring, dual phone lines, cable TV etc which are now becoming everyday requirements for both the rental and resale market. On the other side of the coin as an investor you need to confirm that the extra facilities and extra rental you can gain from the facilities is proportionate to the extra strata levies needed to supply and service such amenities. Kitchens/Bathrooms – It’s not just owner-occupiers and it’s not just women – the majority of apartment dwellers still need kitchens to be stylish and completely functional. Whether you are purchasing at the bottom end of the market or top end, the kitchen still needs to be completely functional and is always a strong selling and renting point of any apartments. Bathrooms to a lesser degree also need to be functional for today’s living, stylish and roomy and not just an after thought. Laundries adjacent to the bathroom work well provided enough room is allowed for and the washer/dryer is discreetly screened with bi-fold doors. Number in complex – This factor is not as important as previously seen. The general acceptance of large blocks of apartments, which are designed well, hold little downside to a much smaller complex. The bigger number the smaller the quarterly maintenance fees and the better the views as the building rises higher. the However the smaller the better. Balconies – With our West Australian lifestyle and our love affair with the &lsquo;webber’ – generous sized balconies add good value to your investment, embraced even further if there is a great outlook from the balcony. The balcony should offer a good degree of privacy and some shelter from our sea breezes and midday sun. Size – Investment apartments suffer less from the effects of the need for a bigger apartment and many inner city apartments have been designed with minimal but exciting functional use of space. The more compact apartments in the market, which have been well designed, rent for just as much as their larger cumbersome counterparts whilst the resale value is not a great discrepancy. Once you move to the penthouse style then of course size will have a greater determining factor. Age – This element is quite important, a brand new apartment will offer the investor substantial tax benefits via deprecation whilst also potentially having less upkeep and being more in keeping with current trends to maximize rental return and resale figures. Whilst the latest designed buildings will be more likely to be smart wired, more energy efficient and more suitably designed for today’s modern and exciting standards. Whilst these are a cross section of the most important elements for investment the leveling factor will always be price. The price of any particular apartment and the rental return will be a factor, which any investor will balance their view upon purchasing. It is advisable to give much greater attention to the capital growth factor then rental return as the impact of 1% extra capital growth over the life of an investment can be significant. Mark, great article and lots of useful info. Thank you for sharing this useful tips. It is important that we know the most important elements in investing. While the article mentioned a few good points it missed a couple of the biggies. Apartments, by their very nature, are going to be found in a strata complex and will incurr annual strata costs. These can vary from 100's of dollars to, in one case in Sydney, 10,000's of thousands of dallars. As an investor buying an apartment (the same applies to home owners too) you also need to know what your outgoings are. If you are buying off the plan apartments it is not unusual for the developer to award strata management contracts to companies for an extended period of time and with very costsly get out clauses making it difficult and almost unviable to sack an underperforming strata management company. Another thing to watch out for when buying off the plan is for strata fees to be set at abnormally low levels. This makes the cashflow look more attractive to potential investors/buyers. When the complex is fully operational the strata company often then finds they need to increase strata fees to cover higher costs. The increase can amount to signifciant sums of money and can sour a good purchase. If you are buying an older, established apartment make sure you peruse the strata company minutes. It may be your unit has large unpaid strata fees owning on it or the strata company is planning major works and needs to strike a 'one off' levy to get the work done. In some cases the one off levy can be extremely costsly depending upon the nature of the work being undertaken. If buying an established property make sure you get a strata search done to determing how much, if any, of a sinking fund is in place. Some states, by law, require strata companies to establish a sinking fund for ongoing, and sometimes more expensive work to be done in a complex. While the items Mark identified are useful - the key is the financial matters related to your property. Do not overlook these either. Derek's point about the low strata costs at the beginning is a really good point. I've seen developments where they spruik the strata costs as being $350 per quarter.....once the development is complete and the strata operational, that quarterly cost went up significantly. PS Some indicators of 'high' strata costs are; swimming pools, lifts, elaborate common areas, gyms, saunas and so on. If it is expensive to run in your own home it will be expensive to run in an apartment. The other major issue with apartments is the performance of your asset (home or investment) will track the market. Being an apartment there is very little you can do apart from new whitegoods, furnish, new carpet, coat of pait, a few pot plants on the verandah etc to differentiate your proeprty from everything else in the building. At the same time you are signifciantly exposed to the financial affairs of every owner in the building. If someone incurs some form of financial distress (over extended, divorce, death, loss of job etc) and has to quit the property on a virtual fire sale price basis then the value of your property is most likely to be affected too. Firstly, you should choose your location well, and make sure that it is one to suit your lifestyle and budget. The main thing that we should always keep in our mind before buying any apartment; what would be the future value of that apartment?? So firstly, analyze the market condition then take the decision. when picking an apartment, you should consider five major things. Top 5-location. Find an apartment that has reasonably walking or biking distance from the places that you usually go. it is important that you have an easy access to the main roads, markets, church and the like. Top 4- Cost. Stick to the 30% rule-that is the percentage of your salary that is supposed to be allotted to your housing budget. Don't go for the nicest apartment in town if you know that you can't avail it. Neither go to the crappiest one. Top 3- Neighbors and Management. Consider the people around you. Observe their lifestyles. Contrary to what your mother usually say, DO TALK TO STRANGERS. Meeting them will also make you feel at ease with the place. Top 2- Building Materials. Look at the materials from which the apartment is made of. It is not a crime if you will ask the building owner of the strength and weaknesses (if there is) of the apartment. Its for your own safety. Top 1- Your guts. The last but not the least. Better ask yourself if you can really make that apartment your HOME SWEET HOME. You need to know all these things before you start house-hunting. Are you planning to get married in the next year or few years? Do you have a dog from the working breed that needs a yard to run around in? Do you have kids who have specific hobbies that they want to seriously pursue? You need to know what kind of an environment you need and want to decide where would be the best place for you. Before you buy, make sure that you are getting value of money. Research the market and find out about the latest trend. Location is the most important thing in any real estate purchase. Badly located apartment are difficult to sell and rent. So choose your location well its good for you in future. Great tips. Many quality constants are found there. By taking care of all these things you can reduce the risk of misshapen.